The Riley 7ft Reversible Diner / Pool Table emphasizes a commitment to traditional values of quality and craftsmanship. It is manufactured from selected hardwoods with a genuine precision-ground slate bed, cushions fitted with premium English rubber, 100% pure wool English cloth, concealed pocket plates covered in real English leather, sectional dining top and high quality marking board. 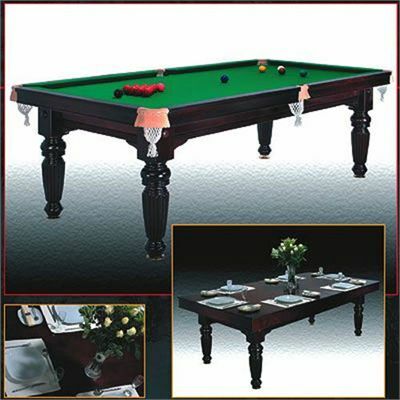 for submitting product review about Riley 7ft Reversible Slate Bed Dining And Pool Table - Mahogany.